ASP, Beskyttelsestrekk - kontraktpakking, robot protection covers, welding clamp covers,r på EUROPAGES. 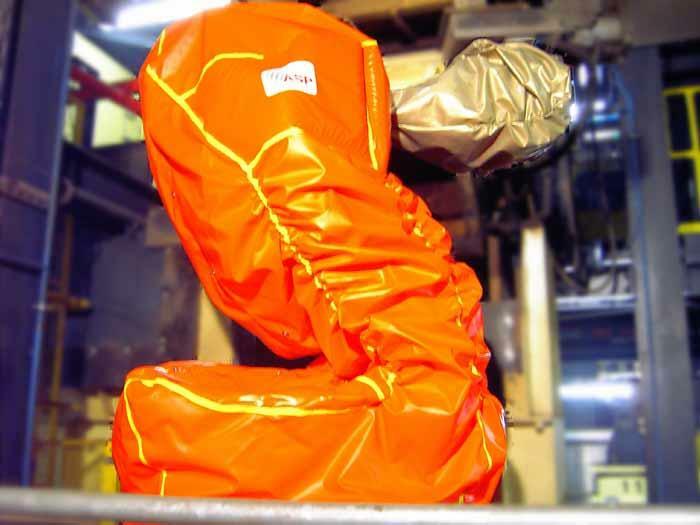 ASP designs, manufactures and installs tailor-made covers for robots in purpose-designed, highly-resistant technical fabrics. Water, sand, acids, paint, mastic, small particles, molten metal, etc. : ASP has the appropriate solution, whatever the environmental challenge. 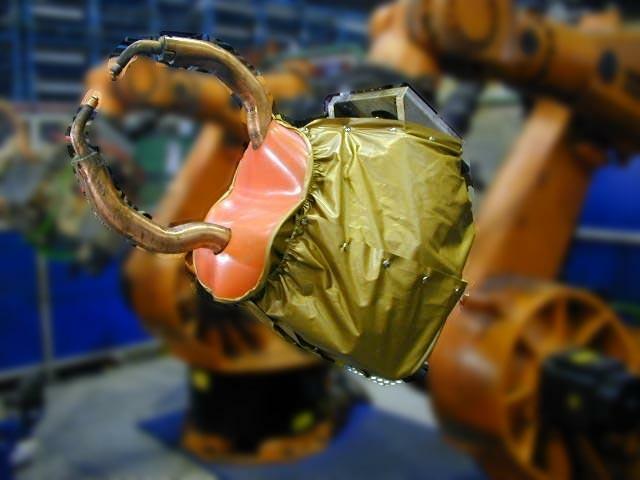 Whether it's a standard, waterproof, pressurized, climate controlled or ATEX cover, ASP has developed over 85 turnkey solutions since 1988 making it possible to integrate any type of robot into any type of environment or process. 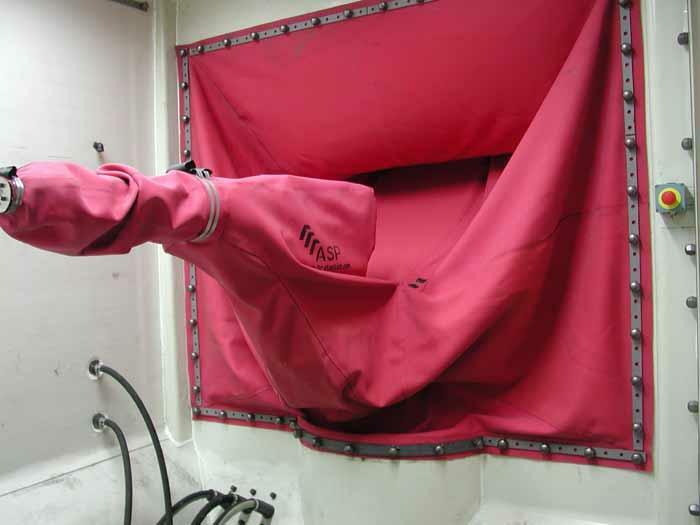 Our skills extend to more than protective covers for robots, we also offer covers for welding guns (and our HPM solution), or with protective covers for gripper arms. We can also service and repair most types of protective cover on the market as well as providing maintenance for covers at our clients' premises. ASP now has European presence in all economic sectors – primarily food processing, aeronautics, the automotive, nuclear, domestic equipment and chemicals industries.